My Nightmare Story Mission Difficulty increased with update? I have been working a story mission hard over the past week. now 13-1 went from level 20 to 22!!! and 12-2 went from 20 to 21. 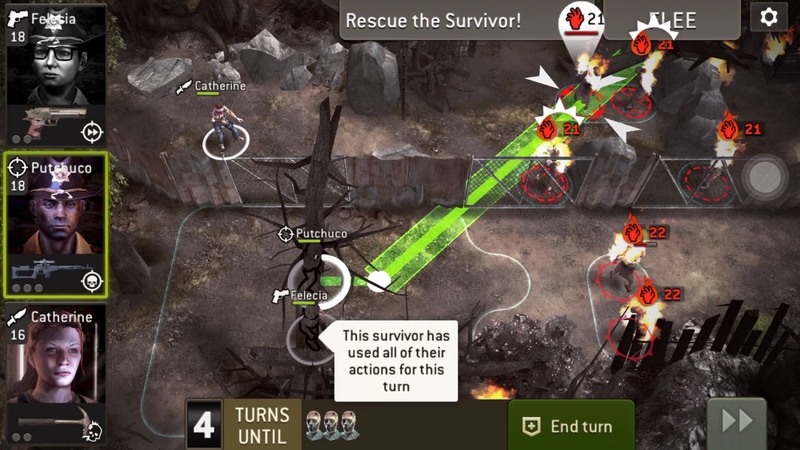 With max created survivor at a 17 how is it even possible to actually make it HARDER? Why was this done? And did it happen to everyone? 13.1 (In Ruins) on hard, recommends level 19 players to me. No change since update. I've tried a few times, with lvl 17's, and upgraded equipment to 20. Mine still goes to the hospital, and suffer defeat. Can't do it. As they say 'not my circus, not my monkeys'... Those missions, will have to wait. So for Episode 13 The Factory nightmare mode is recommended survivor level 22? * I put "hero" and "heroes" in quotes for a reason. ** Still on a spending boycott of equipment and gas booster and gold. @theteacherchris there was no change as far as I noticed. Haven't played story missions for a while so I am able to compare stats before and after update. Only episodes 12 & 13 left on nightmare for me and their recommendations are still the same. Btw nice nick...KRS is one of the best. They need to give us some new episodes to work through while we wait to be able to do these older episodes on hard and nightmare difficulty levels. I am still struggling with mine even after I moved my crew up to level 16. The level 19 missions are problematic even though I can some of the hard missions on episode 13. The nightmare from episode 11 are still stumping me. I am still stuck on Blockade. @theRealBender Yes, at least for the first mission of Episode 13 nightmare mode the recommended survivor lvl is 22. It might be even higher for the following missions. From 12-3 on nightmare it is recommended lvl22. @Cml Wow. Looks like I won't be doing those for a few months. For me (like most) I need 3 levels below to even have a chance. I am training up level 16s now. Heavy sigh. We need (in addition to other things) new story episodes badly. With lvl 22 fatties, very hard. I wonder if someone managed to complete that mission. I tried a couple of times, make it to the finish line but can't kill the last batch. "Anger is an acid that can do more harm to the vessel in which it is stored than to anything on which it is poured." I only have episodes 12 and 13 left on nightmare so I can't compare any changes after the update. I do agree with @WeekOne though, the level 22 fatties at 8000+ health are dang near unkillable even if there is only one of them. I hit one in the last challenge 4 times with both of my level 18 shooters, both charged, and both with fully leveled 21 legendary pistols and he still didn't die. That was enough for me. 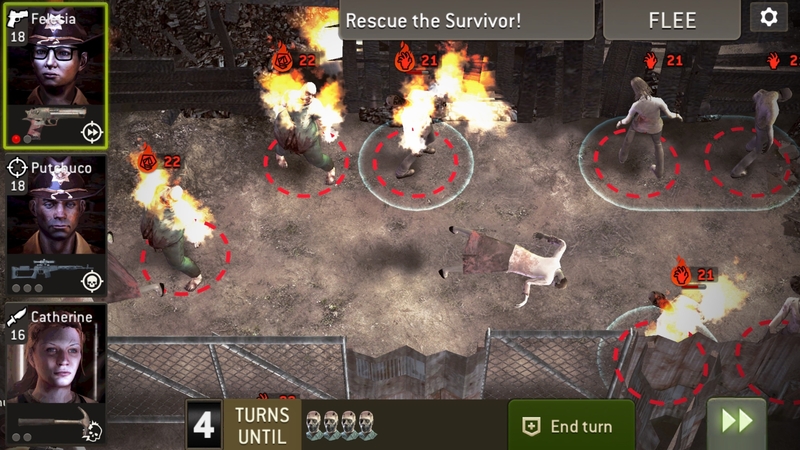 @NCDawgFan You need level 19 survivors even to have a chance against those fatties. Lvl 22 fatty was real easy for me. Took him down , just need lvl 17/18s with fully upgraded gears + dodge and luck traits, the patience and interrupt trait to avoid stun and get through all the body shots. @KaLi the gold interrupt must have been crucial. Just move back one space and have all 3 hit it with overwatch repeatedly? BBQ with lvl 22 fattie is easy. It's episode 12-3 in Nightmare mode. By the time you get to the fatty on this mission, one of your three survivors can be seriously injured. Yeah I was talking about 12-3 too but @SgtSalami comments trigger me to reference the fatty lvl 22s in BBQ too. 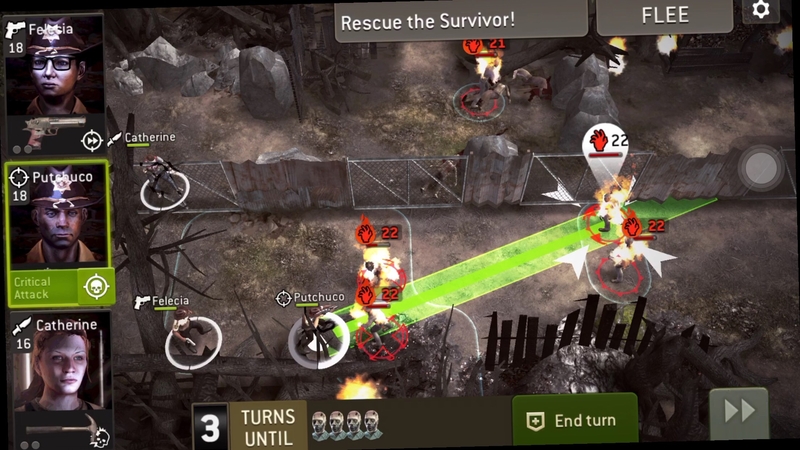 It wasnt a nightmare getting past them as long as you have lvl 18 survivors with lvl 21 gears with one interrupt so that you can interrupt one of the fatty burning lvl 22 walkers with a range survivor while one guy is opening the gate. 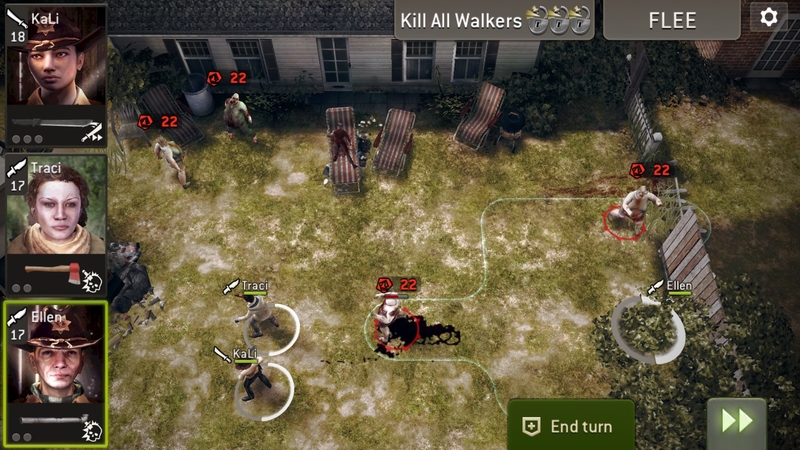 I used shooter/ hunter combo and their charges can 1 hit lvl 22s regular walkers once you build it up. I don't want to fully give the strategy away so you guys can have some fun with it but these two first moves can potentially give you a great start.